After 60 days from purchase, and at any time for an item that CTL determines is in-warranty and defective, CTL will repair or exchange the item subject to the warranty policy listed above and our RMA policy listed below. To contact our Returns department, visit our Support Center at http://support.ctl.net and select 'Submit a Ticket', then select 'Returns / RMA'. Customers will be issued an RMA number and instructions for returns when approved by our Returns department. Note that we cannot accept items sent to CTL without a valid RMA number and that RMA numbers are only valid for 10 days after we issue them. Also, please note that customers are responsible for shipping costs on returns back to CTL. For an item that CTL determines is in-warranty and defective, CTL will repair or exchange the item subject to the warranty policy listed on http://ctl.net/pages/warranty. If you feel that you have a defective item, please visit our online Support Center at http://support.ctl.net for information on how to troubleshoot the problem. If you are unable to resolve the problem, from the Support Center, you can submit a support ticket. If CTL technicians determine that the item is in-warranty and defective they will issue a Return Merchandise Authorization (RMA) number to return the item for repair or exchange. Note that we cannot accept items sent to CTL without a valid RMA number and that RMA numbers are only valid for 10 days after we issue them. 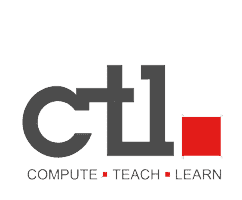 Customers who have purchased CTL, 2go or other CTL items from CTL Authorized Resellers should contact their reseller directly for their reseller's terms and conditions and for warranty fulfillment. In the event an Authorized Reseller is unable to fulfill CTL's Warranty, customers who purchased a CTL product from an Authorized Reseller may submit a ticket to our Returns department to obtain an RMA number and procedures for Warranty fulfillment. Note that proof of purchase information is required.